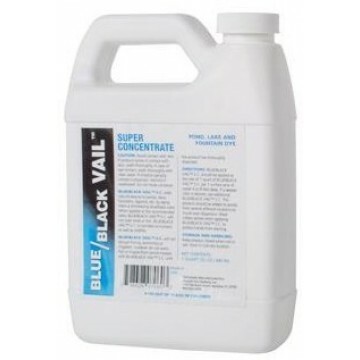 Product Code: Extreme Veil Dark Pond Dye "Natural Lake"
Bulk 6 x 32 oz of blue black or blue/black pond dye. This lake dye concentrate can be carefully poured into the pond or around the edges where it will be mixed quickly and evenly throughout the pond with the wind or water colum movement. 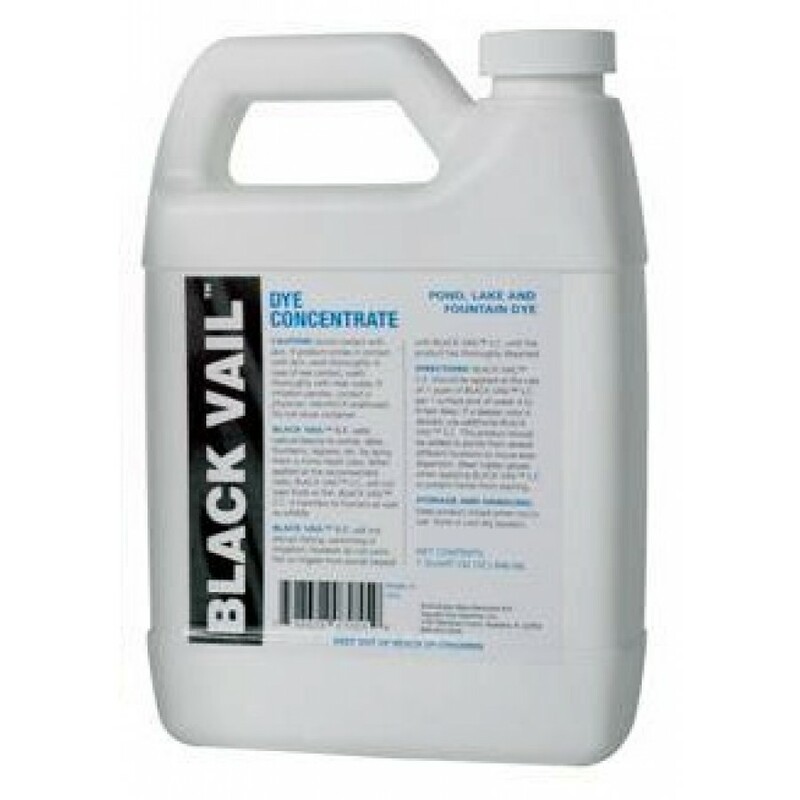 Highly concentrated it is not recommended for use with fountains. It is non-toxic but very concentrated so avoid contact with skin, rocks, plants or clothes as it may temporarily stain. Sold in cases of 6 quarts. For the most natural look possible the black/blue vail dye combination is the most natural looking dye as it most mimics the hues and tones of a natural lake. For the darkest shading possible the black vail dye is ideal. 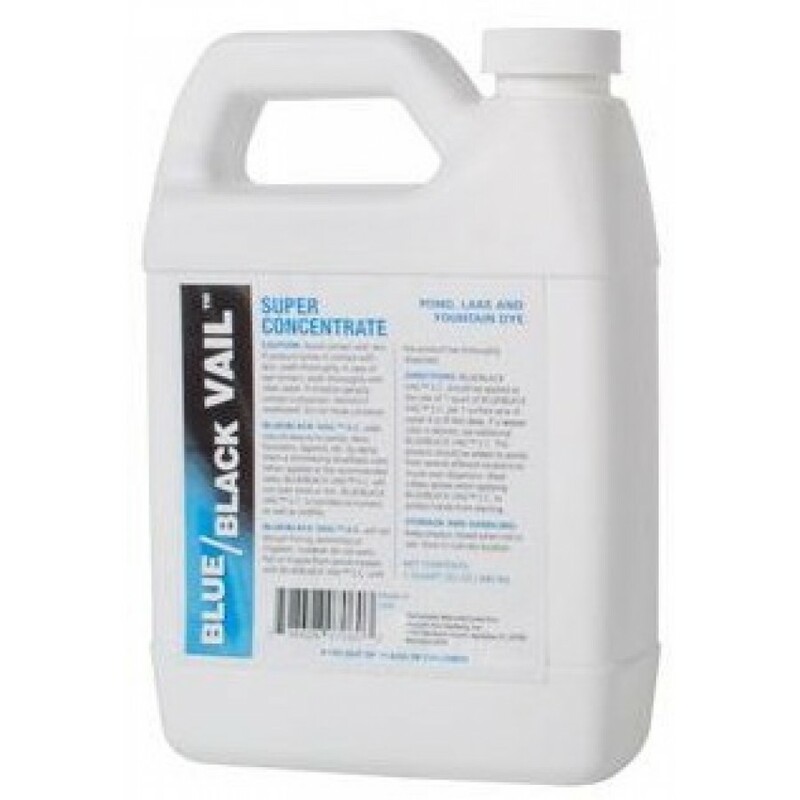 Turns water to a sparkling sapphire blue; ideal for ponds, lakes, fountains, and lagoons. To ensure your pond maintains a natural lake look, the use of beneficial pond bacteria is recommended in conjunction with Blue Pond Dye. Two quarts treats one acre up to 8 feet deep for up to 120 days depending on the inflow and outflow of the pond or lake. The strongest pond dye available. The quarts per acre are typical for 3 acre feet or you could say each quart will treat 1 million gallons.